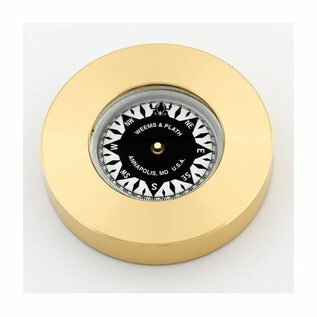 The Brass Compass Chart Weight is a forged brass ring surrounding a working liquid filled compass that is ideal for holding down charts on the boat or for use as an elegant paperweight. The brass ring is lacquered so it will not tarnish or show fingerprints, and the felt bottom protects the surface it rests on and prevents sliding. 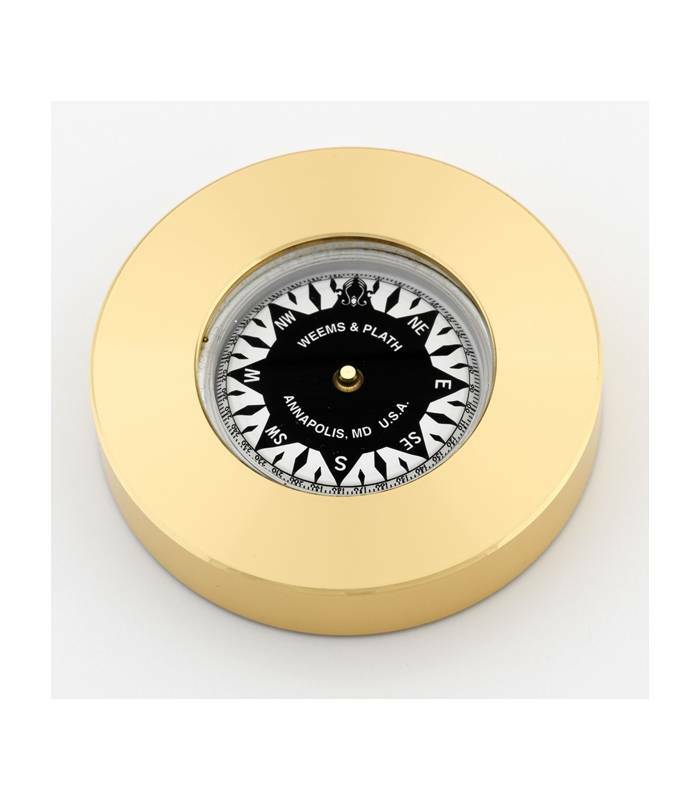 This desk compass is packaged in a black, velvet-lined presentation gift box.